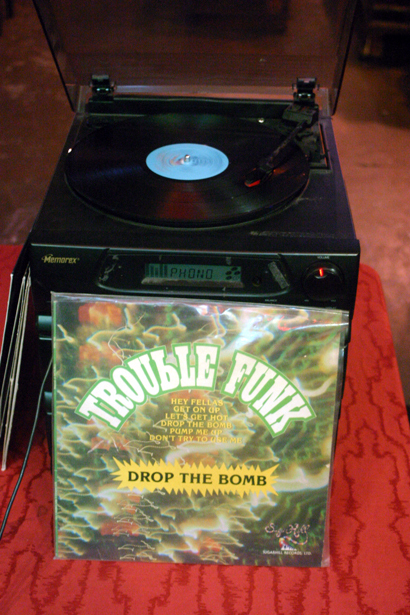 Last Tuesday, I hosted the tenth vinyl night at Little Fish-Huge Pond in Sanford, Florida. Released in 1988, the album contains the hits “Tumblin’ Down” and “Tomorrow People”. 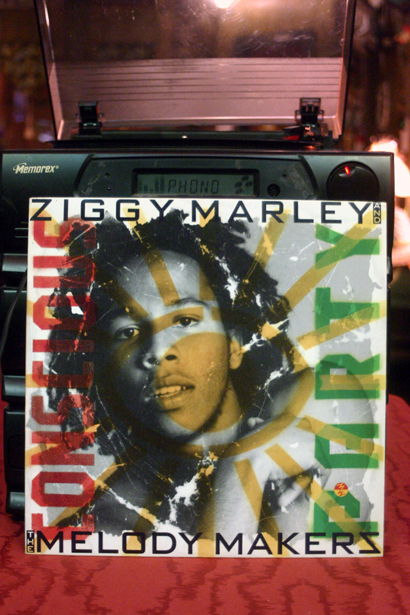 Nothing against Bob Marley’s other sons. Yet, I have always been partial to Ziggy. Besides, Ziggy had his attractive sisters in his group. Once in awhile, I include “Tomorrow People” in my DJ sets. Released in 1982, it contains the hit “Sexual Healing”. Everybody knows that song. I wonder how many children were created during that bad boy. 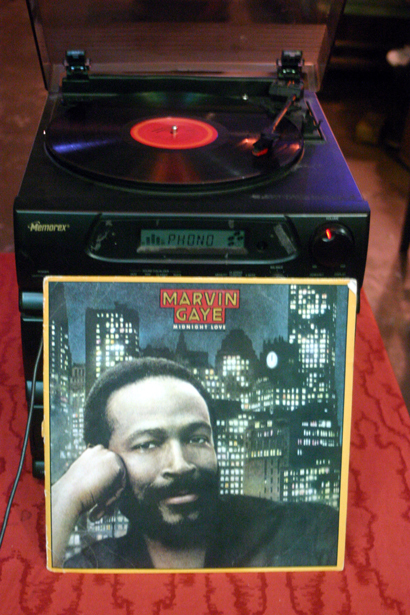 After leaving Motown, Midnight Love was Gaye’s first release on Columbia records. 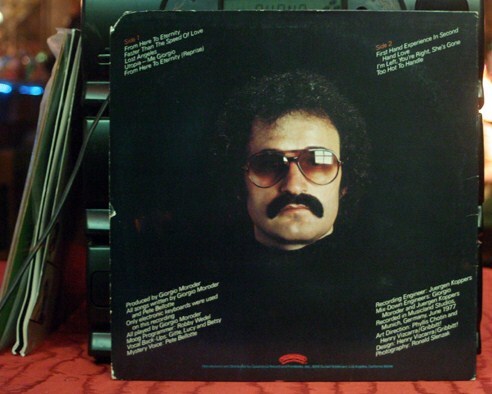 Also, this was his last album before his death. 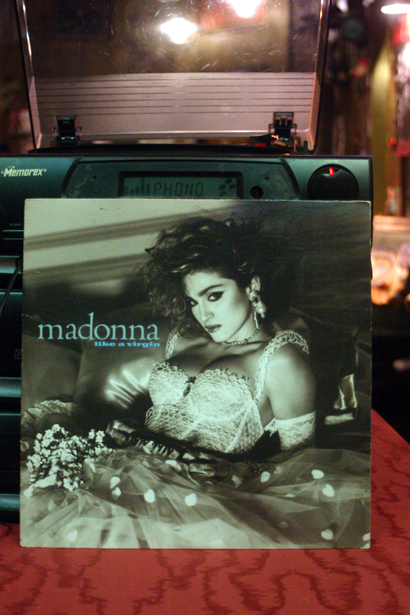 Released in 1984, Madonna’s second studio album contains four hits: “Angel”, “Dress You Up”, “Material Girl” and “Like A Virgin”. I’m not going to lie. 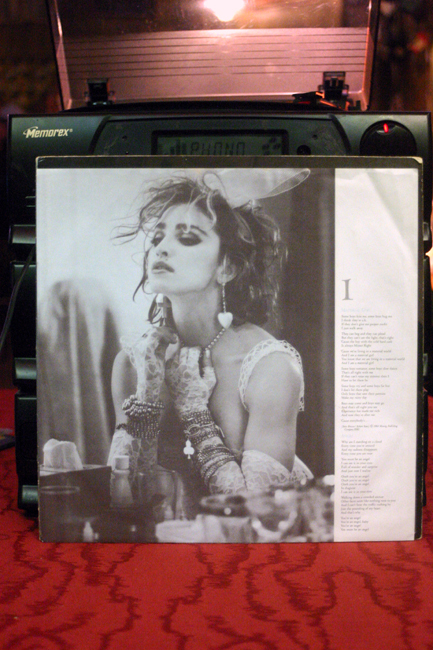 I had thing for Madonna. Yea, I knew about stories of her being “sexually adventurous”. Still, when she sings “Dress You Up”, I feel as if she’s singing to me. By this time Matt Hughen entered the building with records. The next three are his. Released in 1977, this electro-disco album contains three hits: “From Here to Eternity”, “Too Hot to Handle” and “First Hand Experience in Second Hand Love”. 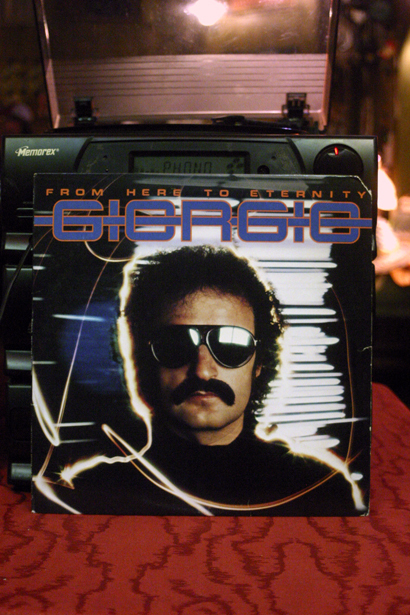 “From Here to Eternity” sounds like two other Moroder songs. First, “I Feel Love”, a song he produced for Donna Summer. Then, “Chase” a song from the Midnight Express movie soundtrack. Yet I still enjoyed the album. 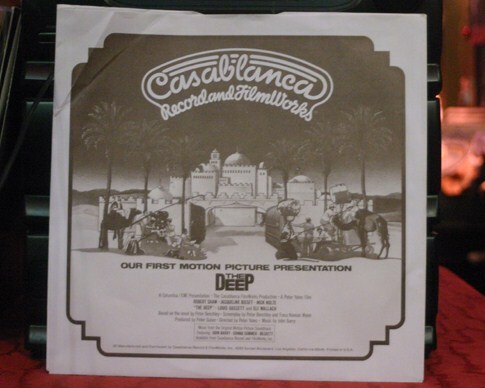 Included on the jacket sleeve is advertisement for the film The Deep, a successful film produced by Casablanca. Released in 1982, it contains the one jam I never forgot, the title song. Can we drop the bomb?! Drop the bomb! Can we drop the bomb, yall?! Drop the bomb! 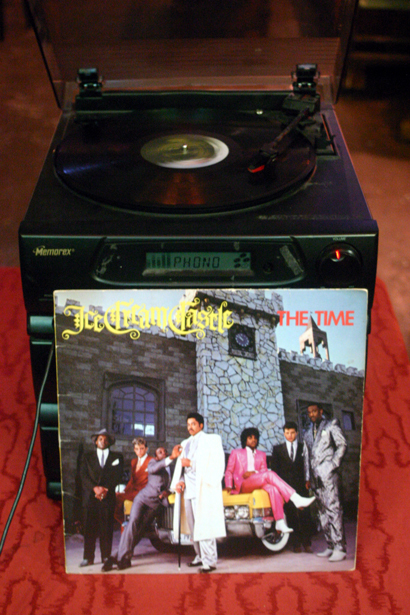 It also contains “Pump Me Up”, a song sampled by many hip-hop artists. 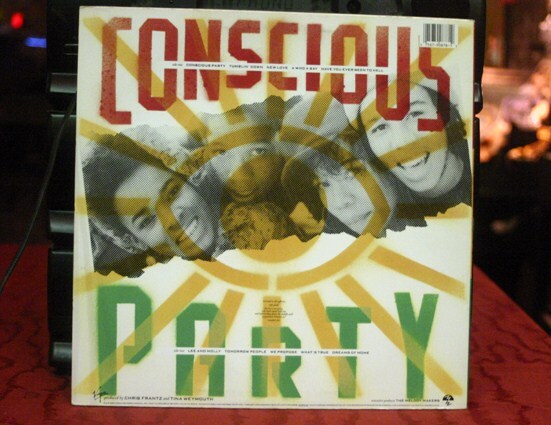 Released in 1980, this funky album didn’t produce any hits. Yet, many folks may recognize the song “Let’s Play House.” Not for the song itself. Yet, for the song rap group Digital Underground sampled for their 1990 hit “Humpty Dance”. 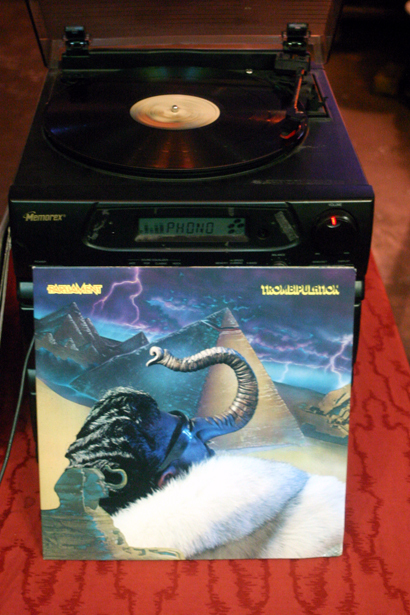 After Matt’s three albums, I played the last one for the evening. Released in 1984, I spent my allowance money on this bad boy. 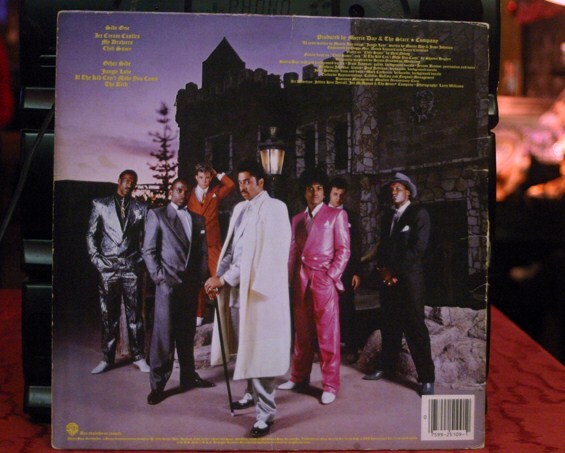 It contains two hits: “Ice Cream Castles” and “Jungle Love”. Two songs from the album were in the movie Purple Rain: “Jungle Love” and “The Bird”. A personal favorite is “My Drawers”. This funky sucker really lets the world know why Jesse Johnson is one of the most underrated guitarists ever. I can’t believe it. The vinyl nights made it to number ten. Ready to roll for next week.